ArGoSoft News Server allows you to maintain newsgroups. Does not limit the number of users and newsgroups. High quality mass message sending tool is capable to broadcast business notifications, meeting schedules etc to all CDMA or GSM cell phone users. Rich text messaging utility facilitates you to bring list of contact numbers saved in text, excel file formats. 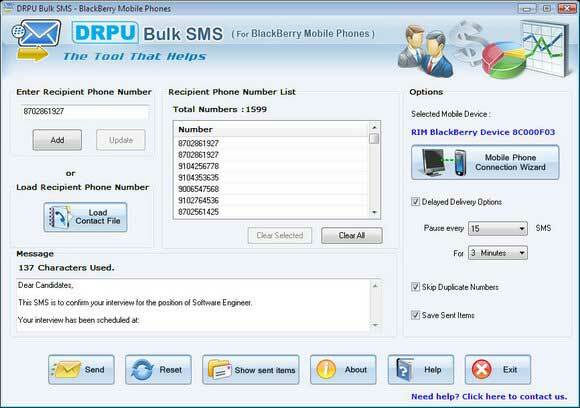 BlackBerry bulk SMS software easily sends massive messages also remove all duplicate contact number entries. Professional SMS sending application delivers massive messages, business alerts without using internet gateway. BlackBerry bulk SMS software effectively manages SMS broadcasting load by using advance delayed delivery functionality. The InterNetNews package (INN) is a complete Usenet system. It includes innd, an NNTP server, and nnrpd, a newsreading server. INN separates hosts that feed you news from those that have users reading news. News server for Windows. Newsgroups are accessible via a standard newsreader or a customizable web interface. Also includes access control system for limiting newsgroup access, filtering rules, method of deleting unwanted messages and more. All configuration is done through a point-and-click interface.